Happy 4th of July! We’re excited this week because our raspberries are ripening and our fruit growers finally have cherries again! For those of you who don’t know, we partner with Okanogan Producers Marketing Association (OPMA) each year to bring delicious fruit to our farm stands. OPMA is a co-op of organic growers in the Okanogan region of Washington who join together in selling and delivering their fruits to Seattle in order to reach a wider customer base and receive a premium price. We’re so happy to be supporting this small co-op and love being able to provide you with delicious fruits. 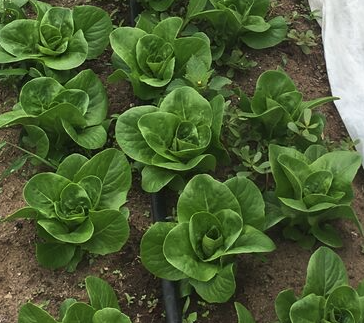 Veggie of the Week: Head lettuce! 1.Combine first 6 ingredients in a small bowl. Cover and chill 20 minutes. 2.Combine cornstarch, turmeric, ginger, and tilapia in a large bowl; toss to coat. Let stand 10 minutes. 3.Heat a large cast-iron skillet or wok over high heat. Add 1 tablespoon oil; heat until just smoking. Add tilapia. Cook, without stirring, 2 minutes. Gently turn fish pieces; cook 1 minute or until done. Place on a plate, and keep warm. 4.Add remaining 1 teaspoon oil to pan; swirl to coat. Add green onions; stir-fry 2 minutes or until tops are bright green and bottoms are tender. Add dill; cook 30 seconds. Place about 1/3 cup onion mixture on each of 4 plates; top each with 3/4 cup fish and 1 tablespoon sauce. Serve each with 3 lettuce leaves, 1 mint sprig (if desired), and 1/2 cup rice. See you at the farm stand this week!